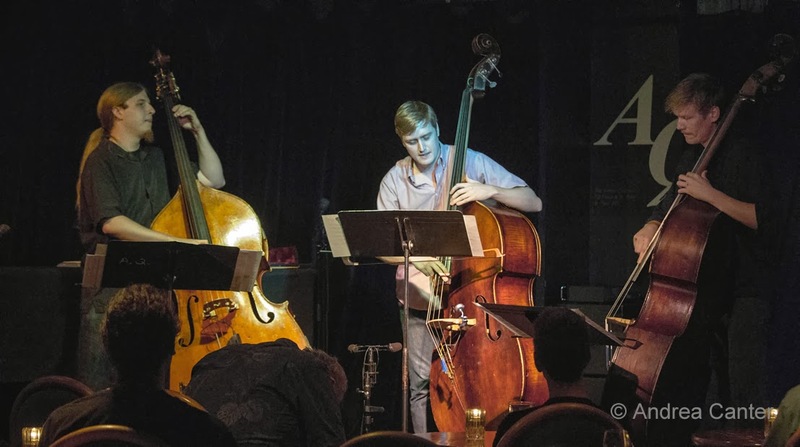 The Artists Quarter has long been a launching pad for new artists and new ensembles, often the venue where we remember first hearing an artist who became a favorite locally or beyond. The Bad Plus first came together at the Artists Quarter. Bryan Nichols, Zacc Harris, Brandon Wozniak, Chris and JT Bates, Adam Linz, The Phil Hey Quartet, Red Planet -- all grew their reputations through gigs at the Artists Quarter. Bassist Brian Courage is on that list. He's only a couple years out of college, coming to the Twin Cities after graduation from Lawrence Conservatory. He was hardly unpacked when he made his first visit to the AQ as a listener, and within a few weeks was on stage with Laura Caviani. And within a few months, Brian was an AQ regular -- on stage and in the audience. Any band needing a bassist? Call Brian Courage. He seemed to be as at-home with a straight-ahead trio as a big band, backing a vocalist or improvising more freely with one of the area's more outside ensembles. And if he wasn't playing, he was listening. It didn't matter what club or theater I visited, nine times out of ten, there was Brian. Brian still covers much of the Twin Cities jazz scene, but most often I see him at the Artists Quarter. He co-leads a band of young upstarts dubbed Courageous Endeavors; and recently he joined forces with two somewhat older bassists-- Graydon Peterson and Jeremy Boettcher-- to form the trio Mountain King. Mountain King-- another band that launched at the Artists Quarter. 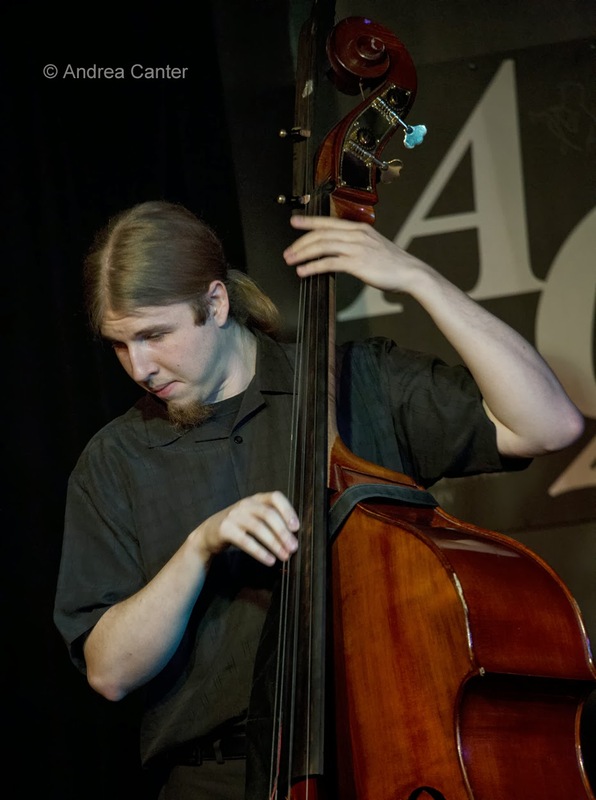 Hard to imagine 30 people listening intently to a bass solo, let alone a three-bass trio! And perhaps more significant to Brian's career, he got the call to back New York pianist David Hazeltine at the AQ this past spring, and the great Lew Tabackin when the saxophonist paid his last visit to the AQ in November. I know that we will still hear Brian Courage playing with a long list of ensembles and visiting musicians after the AQ closes -- he's made the connections with venues and fellow artists. And he's heard them all from the other side of the bandstand. I know that 20 years from now, we'll all recall, "Brian Courage -- yeah, I used to hear him at the Artists Quarter. He played with everybody!" Note: This is the second #19 in this series. Brian Courage, who apparently reads everything as well as attending everything, pointed out to me that I had posted two different entries re Eric Alexander a few days apart. I need Brian's nimble brain!